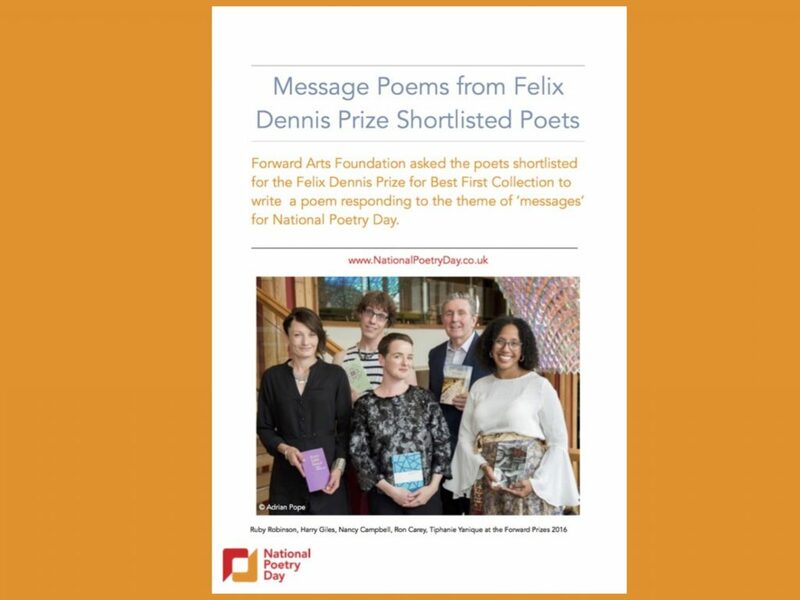 Forward Arts Foundation asked the poets shortlisted for the Felix Dennis Prize for Best First Collection to create a new poem on the theme of ‘messages’ to celebrate National Poetry Day 2016. Not only did the poets respond with written poems, they sent us audio recordings, films and a digital text generating engine! The Felix Dennis Prize for Best First Collection celebrates the best book of poetry from a new writer publishing in the UK. This year the five shortlisted poets were Nancy Campbell, Ron Carey, Harry Giles, Ruby Robinson and Tiphanie Yanique.